Everyday many Facebook account hacked by hackers. 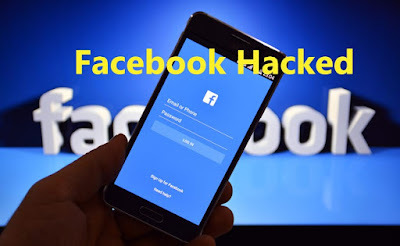 Facebook account hacked hacker to collect Important information of the user such as name, educational institution, personal contact number etc. First step: Open Facebook from desktop and go to Facebook Help Center. If your Facebook account hacked you can see here under this ‘Is my Facebook account impacted by the security issue?’ Here you can see here hacker hacked, which type of information after your Facebook account hacked. You also can see here which information not hacked hacker. If you are lucky you can't see anything in here, that means your Facebook account in safe. In last month Facebook authorities said several million Facebook accounts hacked by the hacker. Cyber miscreants are collect personal information from this account. Facebook authorities have recently said that data from the total number of 29 million accounts in Facebook is unheard. Where the use of these hacked data? Technology analysts say that's information is very valuable which they collect after facebook account hacked. If they can hack your Facebook data, they can earn money from the cyber miscreants. They sell this data on the dark website to earn money. They log in a dark website with some special software and buy-sell this data. Security experts say they are using this stolen information from Facebook in incidences like identity theft or blackmail, miscreants. They use virtual money like as Bitcoin, Litecoin etc to buy and sell this information. Depend on hacked information they buy and sell his hacked data of per account 3 to 12 USD. The amount of data captured from Facebook, sold alone, can cost around 60 million US dollars. Bic Kanner, Chief Executive Officer of the United States' cybersecurity organization, said, "Dark Web personal information is very valuable. It is more important to take this information at any institution or state level. According to an organization called Mani Gur, UK, many information is available on the Dark Web after the hacking incident. Various organizations use this information to buy and display advertisements. How was the information stolen from Facebook? According to AFP news agency, at the end of last month, Facebook first reported that five million users of their data were unsuccessful. The data was captured by using Facebook security errors. 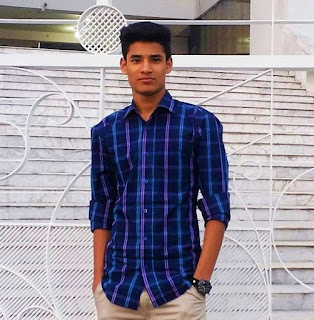 The hackers got the chance to attack Facebook through a feature called "View As". Users see how their account looks to others through View Azage. It is known through the advantages of how Facebook friends see one. The users of the infected users are automatically logged out and get the login instructions again. Linkara said that Facebook authorities could not give a clear idea about the users' actions in these incidents. Apart from this, the cyber attack has not been able to find out who is involved in handling information about the incident. It is not known what kind of information was captured. But now the Facebook authorities claim, the amount of loss was low.